From June 24 – 26, STS Aviation Group will be heading to Scottsdale, AZ where the company is set to attend the Aviation Suppliers Association (ASA) Annual Conference. The Aviation Suppliers Association, based in Washington, D.C., promotes safety, regulatory compliance and ethical business practices among parts suppliers and throughout the aviation industry. 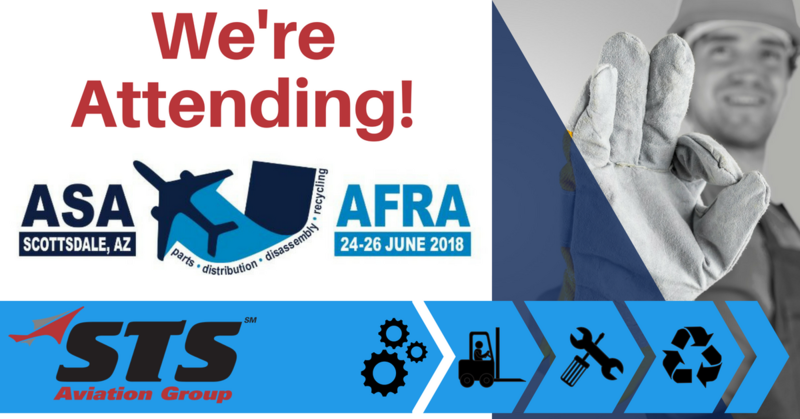 The ASA Annual Conference, co-located with the Aircraft Fleet Recycling Association (AFRA) Annual Meeting, continues to be the premier event for the aviation distributor industry. The event will be held at the Omni Scottsdale Resort and Spa at Montelucia, located only 15 minutes from Phoenix Sky Harbor Airport (PHX) and close to many other aviation businesses. Each year attendees of this conference can expect a variety of business development and management, quality assurance, legal/regulatory and general industry topics in one comprehensive and engaging event! The ASA Annual Conference is more personal and manageable than many of the other industry meetings, consisting of an environment that offers numerous one-on-one interactions that involve all attendees, exhibitors, and speakers. Companies represented at the conference include domestic and foreign air carriers, OEMs, suppliers, repair stations, distributors and many more! This year the conference program includes general sessions covering assessments of the state of the industry, workshops of specific business management, quality and legal issues, table top displays from exhibitors, and fun networking events including receptions, a banquet dinner and day to day beaks and lunches. You can view the complete schedule of events here. Attracting aviation professionals from all around the world, the ASA Annual Conference is an industry event you do not want to miss. STS Aviation Group is very excited to be present and we are looking forward to seeing everyone in Scottsdale!